Whirley crane: 1972 Clyde Iron Works 42. Also called a portal crane, the whirley travels on wide-gauge rails. 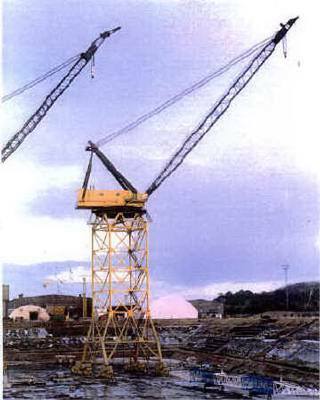 It is used mostly on dams and other large concrete pours, in shipyards and at dockside.